Castle Stalker stands on an island in Loch Laich, which leads into Loch Linnhe. It was built at the beginning of the 16th Century on a typical tower-plan and was used originally as a hunting lodge for James IV. The builder of the castle, Duncan Stewart of Appin, presented the hunting lodge to James IV to ingratiate himself with his royal relative. The estates fell into ruin when the Stewarts of Appin took part in the rising of the '45 and the property was forfeited and placed in trust by the Government to Colin Campbell of Glenure, in the same district. It is this character whose assassination was made famous in the story of the Appin murder in Robert Louis Stevenson's novel Kidnapped. After lying in ruins for two centuries the now restored Castle Stalker is well worth visiting, especially in fine weather, as the surrounding scenery is particularly beautiful. Castle Stalker. Appin is a remote coastal district of the Scottish West Highlands bounded west by Loch Linnhe, south by Loch Creran. Ballachulish, Duror, Portnacroish, Appin and Port Appin are the main villages. Appin was the country of a branch of the Stewarts. A passenger-only ferry to the Island of Lismore runs from Port Appin. Villages of Northern Argyll, Scotland. 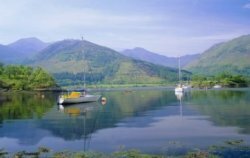 Geographically, Northern Argyll is a region of wild coastline, open moorland and rugged mountains separated by deep lochs and fast flowing rivers, with little cultivable ground. There are considerable mineral resources and the forests have always been coveted by Lowlanders, but lines of communication are difficult and were, until recently, often dangerous. Even so, for 2,000 years and more people have struggled to make a living here. In a kaleidoscope of historical fact, folklore and reminiscence, this text explains the existence of some of the county's settlements which, set down in a bleak if beautiful landscape miles from anywhere, appear to the eye of the stranger with no apparent reason. Based on a whole range of primary and secondary research, including parish records and other historical documents, it is a fascinating insight into the history of human settlement in this beautiful corner of Scotland. Includes, Lochgoilhead and Kilmorich, Inveraray, Craignish and Kilmelford, Kilbrandon and Kilchattan, Kilmore and Kilbridie, Muckairn and Kentallen, Barcaldine and Benderloch, Lismore and Appin, Morvern and Ardnamurchan, Glencoe and Ballachulish, Glenorchy and Innishail. Villages of Northern Argyll . 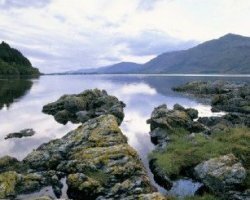 Loch Creran Notes from the West Highlands. 1881.